It took 50 brilliant people and two years to build a smart and beautiful mobile finance application. The core of Pocopay is the unique user experience and innovative technology. We found a way in which the user can interact with other people instead of long account numbers in their money issues, and at the same time, we added emotions to all the transactions too. Money and information moves in real time between clients and we use the most advanced security methods. Pocopay team has the best competence of banking and technology. The people here have built Scandinavian banks, Skype, and a variety of mobile applications. Pocopay was launched on 4th of February 2016, in order to be a mobile finance app for young and innovative people in Europe. Today we have two major business lines: product development alongside with serving our customers in the target markets, and selling the licence of Pocopay’s technology on distant markets. On the 4th of February 2016, we made our service public for the first time. The launch event was held in "Erinevate Tubade Klubi" which was a memorable evening for all of us and everyone who took part in it. All finnish people could join Pocopay in March 2016. A lot of estonians living in Finland were really happy that they could now open the Pocopay account and order our MasterCard also to Finland. Many parents asked about the opportunity to open an additional account for their children, so we made that possible. While children can grow independent with their money issues in Pocopay, the parent still has a full control of their children's accounts. Money moves within seconds between Pocopay accounts, even in different corners of the world. Pocopay won at Estonian Best Mobile Application 2016 competition in two categories: Best Mobile App Design and Best Mobile App Security. We are sincerely happy about the rewards, as design and security are our core strengths. Pocopay’s user interface is unique being interactive and intuitive for all ages. We made mobile payments possible so our customers could enjoy easier cashless and cardless payments. It is possible to pay for purchases with Pocopay app at nearly 200 merchant's shops, cafes and online stores. In this way, the merchant keeps more money to themselves as Pocopay takes no commission fees. Daily budget helps to keep an eye on the spendings, every day. Putting money aside with Pocopay is really easy and seamless. The client can set the date from which we will calculate the daily budget for people to spend less and achieve their goals. In August, we made a referral program in cooperation with Apollo. So when customers invite friends to Pocopay, we give out Apollo gift cards for both, the customer that invited and the customer that was invited. Gift cards can be used in Apollo cinemas, book stores and in Apollo Blender. We released our bank link for online payments in October. Pocopay bank link provides simple and secure online purchases for the customer. It's more convenient than any other bank link has ever been and transactions can be confirmed with fingerprint for example. 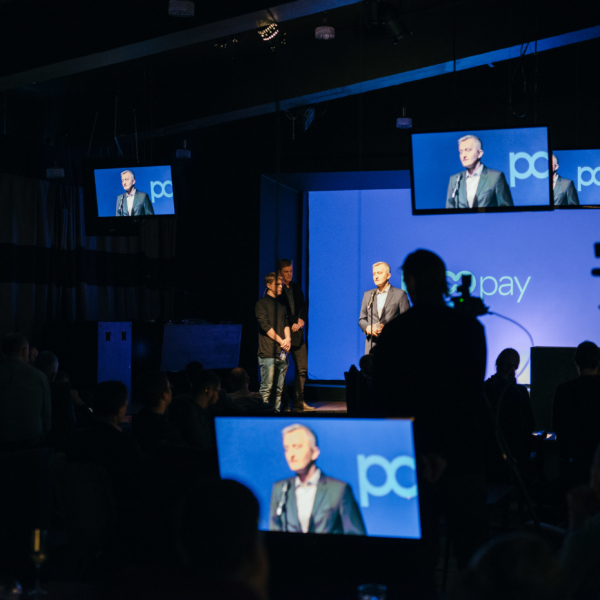 Pocopay was the first financial institution in Estonia to introduce biometric methods. All Pocopay users can access their account and confirm transactions with fingerprints. Implementing biometric solutions in the financial sector is becoming more and more popular worldwide. Modern banking is constantly seeking for secure and convenient solutions for customers, and biometric solutions are definitely one of them. At the same time as we were focused on testing and developing our product, many financial institutions turned to us with the idea to use Pocopay's infosystem in their business. So we discovered quite unexpectedly a new opportunity for us and started to provide banking core and mobile application licensing solutions to new partners. At the end of 2016, we started building a Marketplace in cooperation with insurance broker IIZI. Our dream is to create a customer-friendly and more efficient finance model, where specialized companies cooperate and provide a better service with a better price to the customers. In order for people to show their gratitude when someone has sent them money, we added the "Thanks!" feature to our app. It is possible to say thanks directly from the notification centre, and history or payment detail view. We thought that money transfer could be more than just numbers changing on the account balance. That is the reason why Pocopay is the first European financial institution that allows to add playful GIFs to payments, requests or saying thanks. Our GIF’s provide the joy of discovery as well as give forward the emotions.